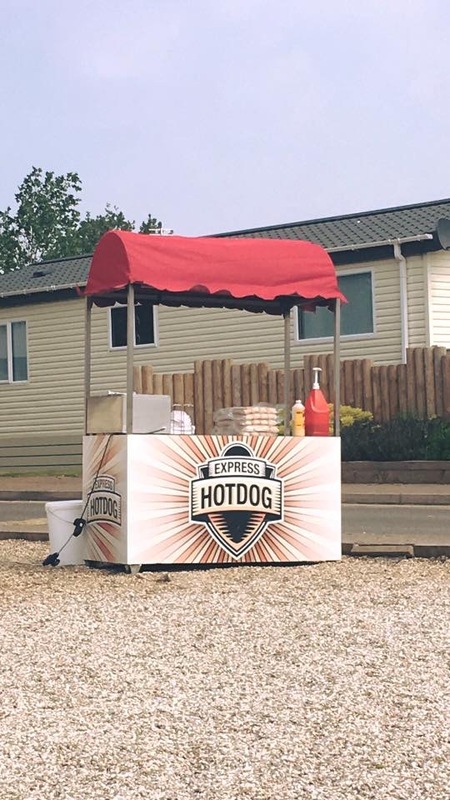 Here we have a fanatic looking hot Dog cart ready to attend your events, Fun days, Weddings, themed Parties, Late night shopping any place really. We are fully insured, our staffed are fully trained and we always have the best hygiene standards, we have been rated by the local council with 5 starts. All our food is of high quality. We can also supply other food from our cart not just Hot Dogs, we can also supply soups, BBQ pulled pork, Chilli Dogs, BBQ Dogs and much more. We cover most areas with our cart and are willing to travel. The whole cart is self contained so we do not need an electric supply and bring every thing we need for a successful event. Please contact us for prices and available.